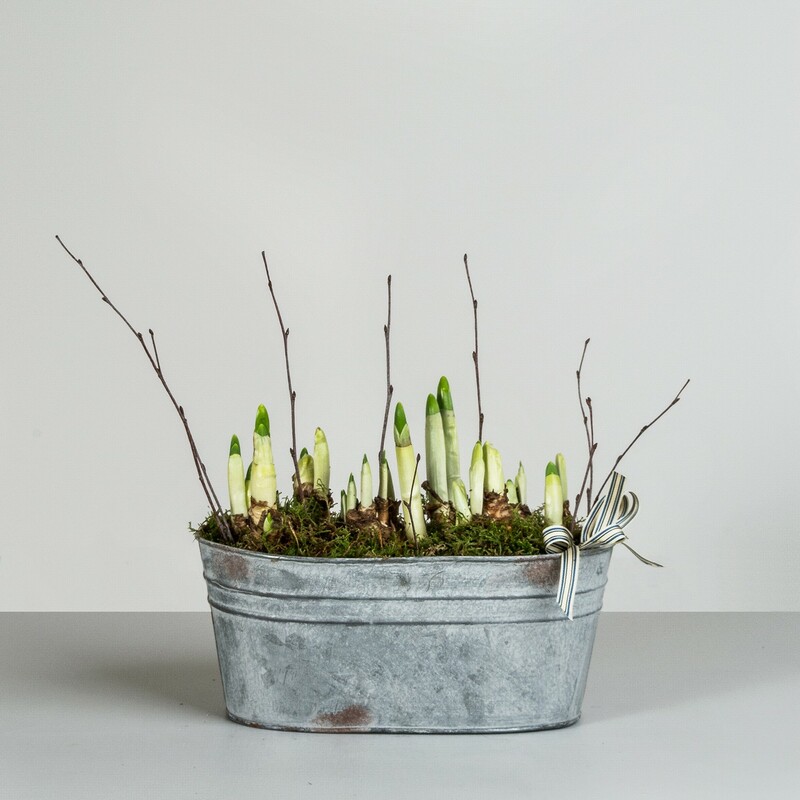 Well, with our Narcissi Tub you can now experience the bloom of a new season, as your planted bulbs take form into bonny, bobbing flowers. When they have opened, narcissi flowers epitomise the warm days of springtime. They are often known by the name of daffodils, and are commonly symbolise the end of winter months. There are not many blooms as cheerful as narcissi flowers, with their spade-shaped petals and trumpet-like corona, and now you can admire them from your windowsill.